Koh Mook, also often named as Koh Muk, is a small idyllic island in the Andaman Sea located in the South of Thailand. 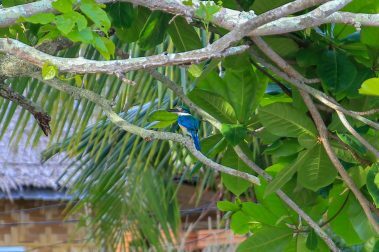 A large part of the island consists of deep jungle, intact nature and small tranquil villages. The coast of the island is lined with palm trees, gigantic cliffs and beautiful beaches. Last but not least, there is the breathtaking Emerald Cave and the white sand Sivalai Beach, which makes Koh Mook one of the most spectacular islands in Thailand. Here you are really far away from mass tourism and you can enjoy the quiet and idyllic island life. The unique combination of a fascinating natural scenery and welcoming people will make your holiday at Koh Mook an unforgettable experience. 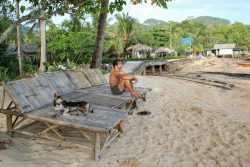 In this blog post we will share all the important information about Koh Mook, the best accommodations, best aktivities and the most beautiful beaches of the island with you. This island is relatively small with about 5.5 square kilometres and all the most important points can be easily reached by foot, bike or scooter. 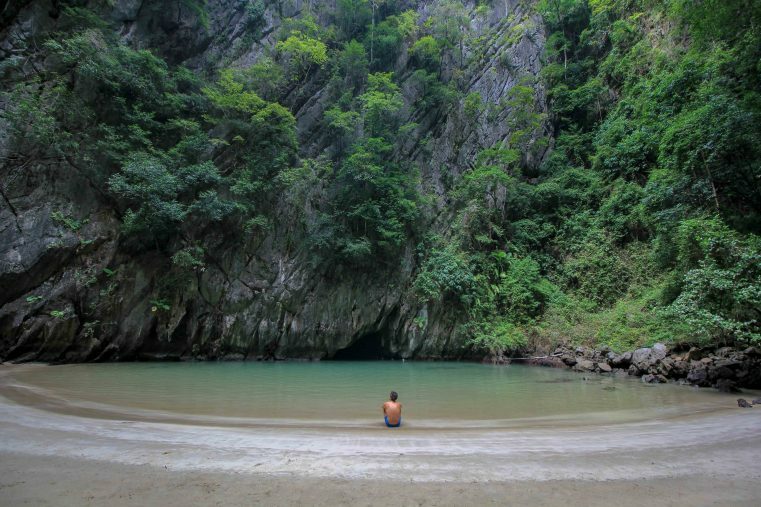 Translated, Ko Muk means “the pearl” and this little paradise gets its name right: A huge part of the island like the Emerald Cave and the Charlie Beach belong to the Chao Mai National Park and so you will find plenty of wonderful nature spots. The approximately 2000 inhabitants of the island are living mainly from tourism, fishing and plantation work. 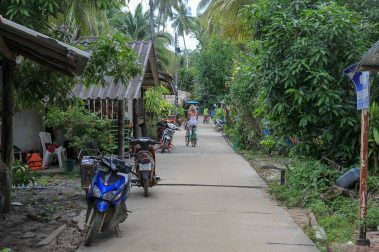 Especially worth seeing is the small town Baan Koh Mook. Here you will find a few small supermarkets, cozy restaurants and even a small bakery. The western part of the island is mainly surrounded by high rocks, but the coast on the east side tends to fall flat. 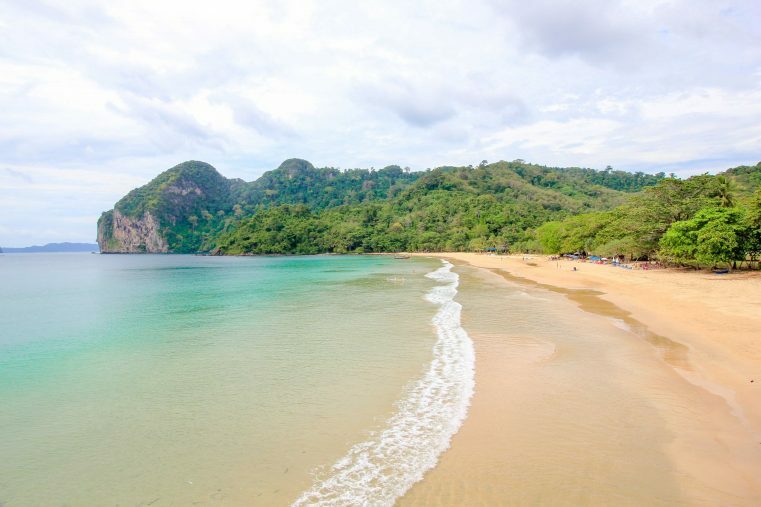 Here you will also the 2 beautiful main beaches: the famous white sand Sivalai Beach and the popular Charlie Beach, which is even part of the National Park. The famous Sivalai Beach is an absolute postcard motif and probably one of the most beautiful beaches in Thailand. Here, extends a snow-white headland (The Wing) with soft sand into the turquoise-blue sea. Directly at the edge is the beautiful Sivalai Beach Resort, the best hotel on the island. Depending on the tide, the beach changes a lot. Especially at low tide the sandbank is really beautiful. Then you can walk around the hotel almost on a beach walk and enjoy the breath-taking scenery. But also, at high tide, the Sivalai Beach is fantastic, then the water almost reaches up to the palm trees. 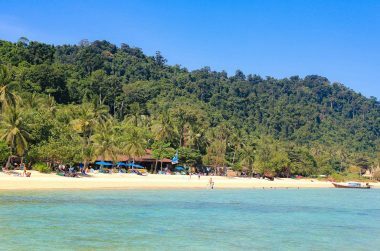 Charlie Beach, or Had Farang, is another top beach at Koh Mook. By the way, the beach is named by the former resorts which was situated on this beach. At that beach you won’t find any front beach bungalows. Charlie Beach has recently been declared part of the National Park, so there are no possibilities to stay directly at the beach. Even the famous Charlie Beach Resort is now closed. But still, you can swim, do kayaking or just enjoy the incredible views from Kayoa Viewpoint. 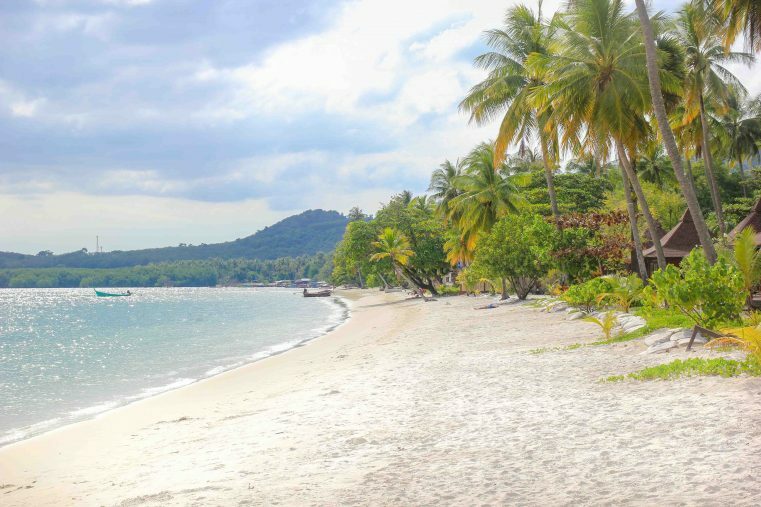 Although Koh Muk belongs to the smaller island of the Andaman Sea, you can expect a lot of things to do here. The main attraction of the island is the famous Emerald Cave and not far from the island you will find the stunningly beautiful beaches of the small neighbouring islands Koh Kradan and Koh Ngai. There are also great snorkelling spots around the island Koh Mook! 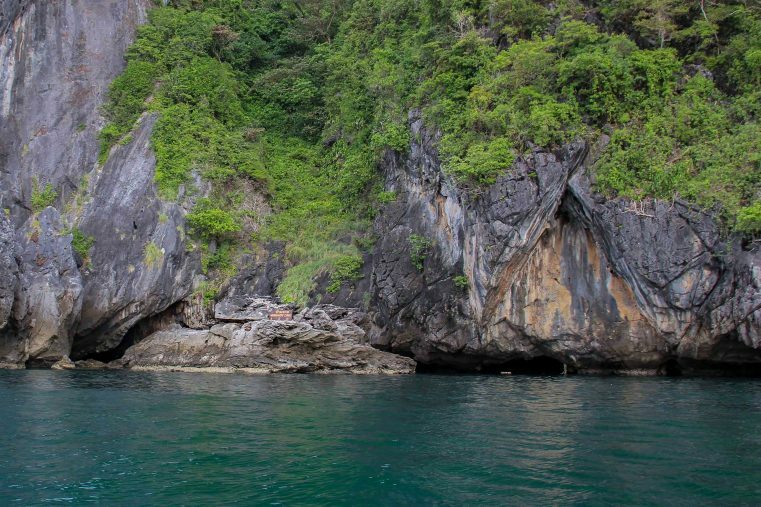 The Emerald Cave, is the top attraction of the island and a popular destination in the whole Trang region. To go inside you swim through an 80-meter-long and pitch-black cave to reach at its end the emerald-green lagoon with a white sandy beach. High cliffs and jungle ring around this unique beach, which once was supposed to be a pirate hideout. Granted, crossing the cave is a small thrill but certainly an unforgettable experience. The cave can only be crossed by swimming. To take pictures you should have your Dry Bag with you, so you have the chance to take your camera into the cave. 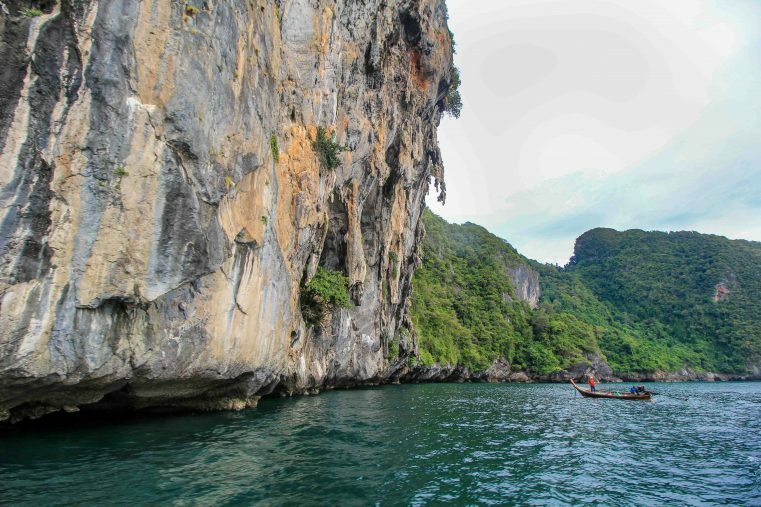 The excursion to the Emerald Cave can easily be organized with the longtail boat (about 800 baht per boat) and usually includes an island tour with snorkelling. Also, a trip with the kayak is possible. The best time to visit the Emerald Cave is around 8 o’clock in the morning or from 3 o’clock in the afternoon (check the tides first. Then you will have this little paradise all to yourself! If you love snorkelling and turquoise-blue waters, you should definitely take a trip from Koh Mook to Koh Kradan. The crossing with the long tail boat takes just 30 minutes and the price is somewhere around 800 Baht. 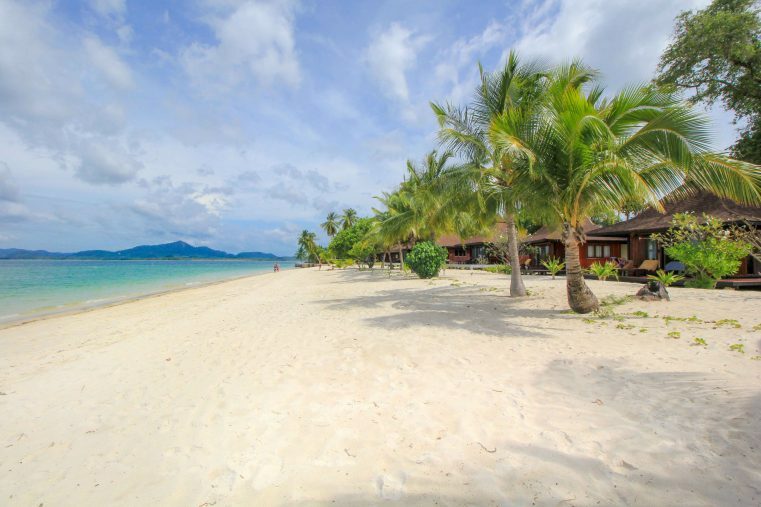 Another wonderful destination is the tiny little dream island Koh Ngai. Here you will find one of the most beautiful beaches of Thailand and breath-taking sea colours. The offshore reef is also perfect for snorkelling. Around the island are various coral reefs and good areas for snorkelling, but usually they can only be reached with the longtail boat! In some places you can discover really nice colourful fish. Bye the way, here is a wonderful guide to getting the most out of your snorkelling. A kayak tour is a cheap and fun way to explore the coast of the Island. 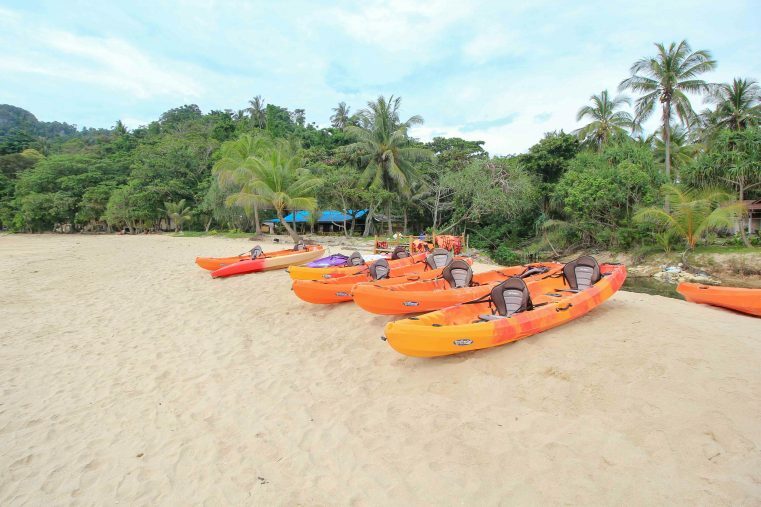 Kayaks can be rented right at the Charlie Beach. From here, you can easily reach the Emerald Cave. 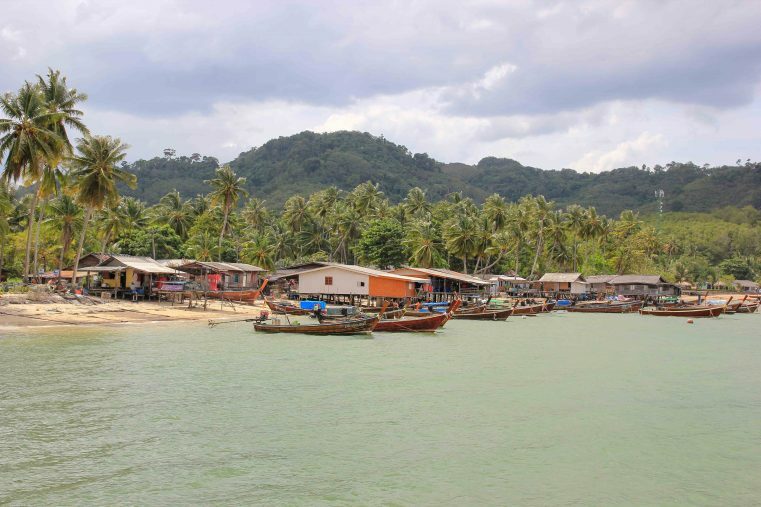 Koh Lanta: The quickest way to get from Koh Lanta to Koh Mook is by speedboat. The ride will be under 45 minutes and the price is around 650 baht. The ferry takes 1 hour 15 minutes. 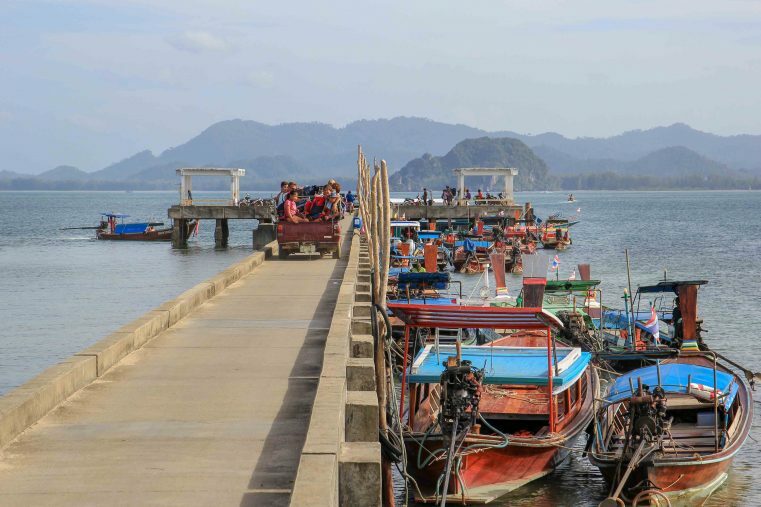 Trang: From Trang you can either take the longtail boat (30 minutes) or take the ferry starting at Hat Yao Pier (15 minutes drive). Koh Lipe: If you travel from Koh Lipe to Koh Mook, you should either take the speed boat or the ferry. With the speedboat it is a two-hour drive, with the ferry you can calculate about 3 hours. 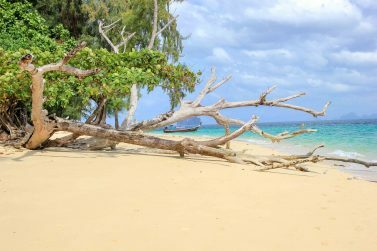 Koh Kraden / Koh Ngai: From the neighbouring islands Koh Kraden and Koh Ngai the best way to get to Ko Mook is by longtail boat. There is also the possibility to book a speedboat transfer. The best travel time for Koh Mook is from November to mid-April. 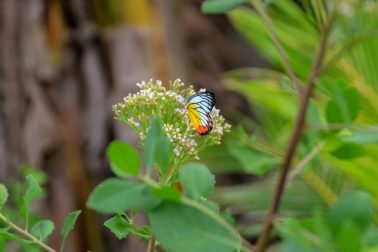 At that time, it is relatively dry, the rainy season starts at the end of April and can still partially go into November. 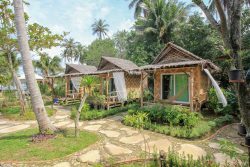 Prices: The prices on the Island are still moderate and slightly cheaper than the neighbouring islands like Koh Ngai and Koh Kradan. ATM: Attention, there are still no ATMs on Koh Mook. So bring enough cash! Nightlife: The nightlife is actually barely present. 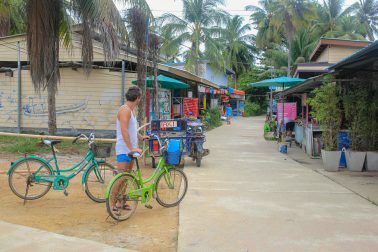 You will find some small beach bars and a few restaurants in Ban Koh Mook but also here everything is pretty quiet and tranquil. Taxi: Island taxis connect Charlie Beach with Ban Koh Mook and Sivalai Beach. Currently, one track costs 50 baht per person. Scooter rental: The island can also be explored by scooter. It usually costs between 200-250 baht per day. But it is not really necessary, actually a bike is enough to cover the distance between the beaches. Bike rental: Going by bike is actually a great choice for exploring the island. 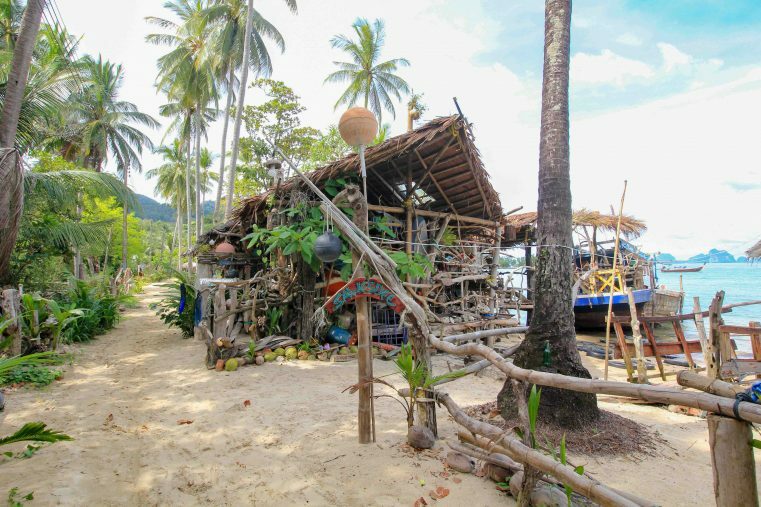 You are going to find a few options at Ban Ko Mook. 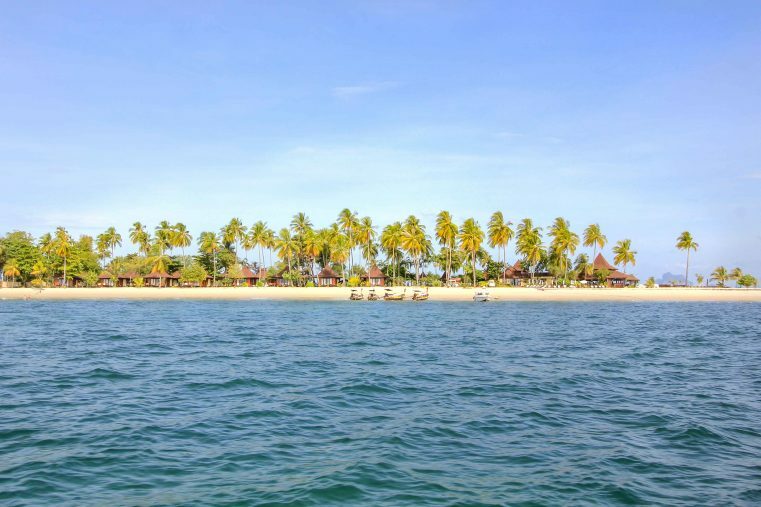 At this island you will find only a small selection of good bungalows and resorts. Therefore, we recommend booking your favourite accommodation in advance. Here you will find a selection of the best rated accommodation and beach bungalows on the island. 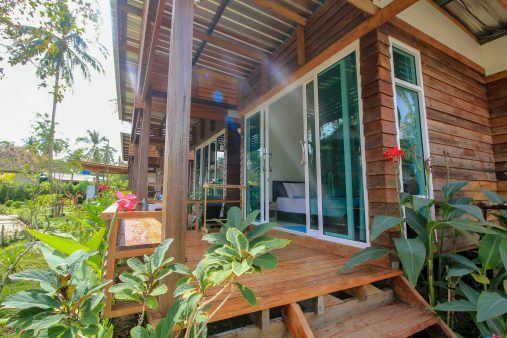 Our recommendation to stay on Koh Mook is the Mook Montra Resort Seaview. The family, which operates the small bungalow complex, is just amazing and always nice to its guests. Also, the garden is designed with lots of love and so you can enjoy from the terrace of the bungalow a great and quiet atmosphere. In addition, the Mook Mantra Resort offers delicious Thai breakfast for just 50 baht! The beach in front of the complex is not suitable for swimming but the Sivalai beach is not far away. Those who prefer luxury travel should consider staying at the Sivalai Beach Resort. It is the most beautiful hotel on the island, but also the most expensive one. A visit to Koh Mook is an absolute highlight of any island tour in Thailand and it’s really worth a visit. Have a look here, if you want to read more about island hopping in Thailand.